Polka Doodles Friday again already! This week has just flown for me and not much time for crafting being the school holidays, but couldn't miss this lovely sketch from Kris, and there's a theme too. To feature a bird, well that was easy, all Nikky's CDs have at least one bird design so I was spoilt for choice. 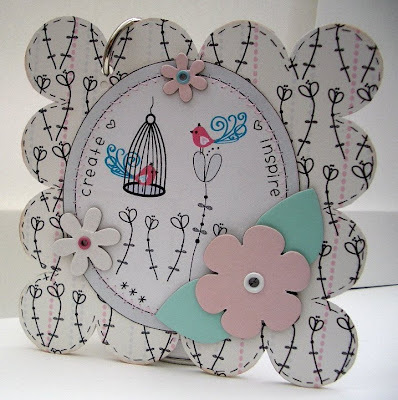 I've gone for the Lovebirds papers and topper to make this notebook cover, love the cream and black on these papers. 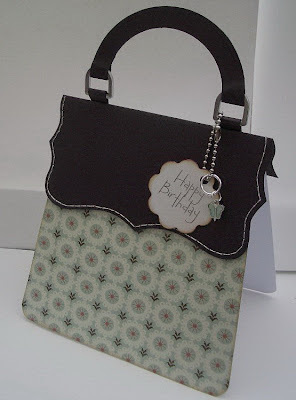 Just added a few chipboard flowers and eyelets. I think I'm going through an eyelet phase, can't seem to put the crop-a-dile down! Oh! Just realised I've missed the band across the bottom of the sketch, sorry Kris! It's Friday so time for another Polka Doodles challenge. 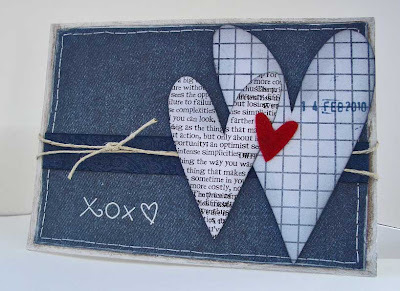 This week it's been set by Claire who's a great fan of paper piecing. so that's this week's challenge. Take your favourite image and paper piece it. Digital images and papers are great for this. You just print your image a couple of times on your different patterned papers, cut them out and fit and stick them together like a jigsaw. I had great fun paper piecing Sherman the pig from the 'Back To Nature' CD. 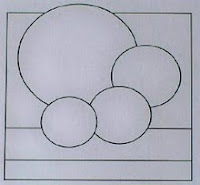 To use a digi image with a pre printed paper pad, I use repositionable spray adhesive. First print your image on plain copy paper, stick your patterned paper over the top of the image with repositionable spray, put the paper back through the printer and print the image again. The image should now be printed on the patterned paper. In a bid to get organised I've made a start on the christmas cards, so hopefully no mad rush like last year! 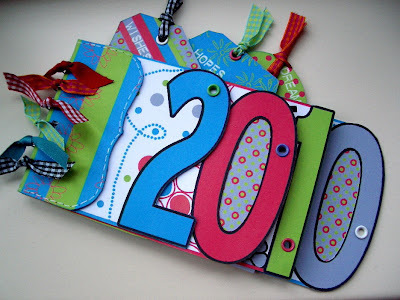 I was spurred on by the blog hop going on over at Winter Wonderland. Lots of yummy prizes up for grabs. Apols for the dull photo I'm still battling with PSE 7, getting there slowly! 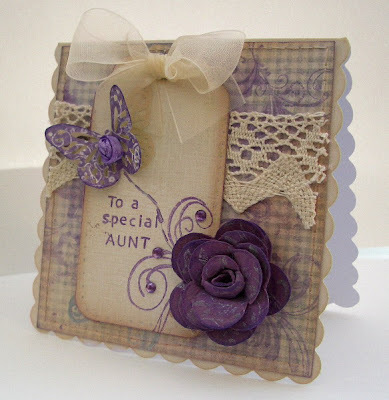 Here's the card I've entered for the Craftwork Cards A for Acetate compettion. 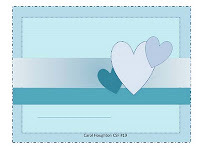 All you need to do is create a card using their acetate and email it to them. More info is on their Blog. 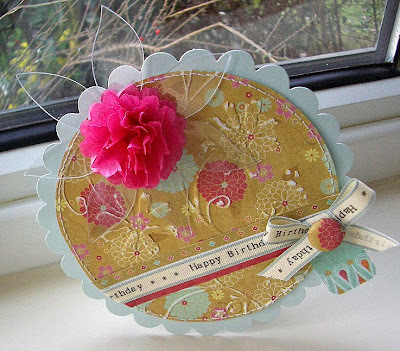 I've used one of their scallop wraps to make a circle card and an acetate flower as the focal point. Added some stitching and embossing for texture. The flower centre is made from some scallop circles of of tissue paper attached together with a small brad and fluffed up a bit! I have an award to share too today. 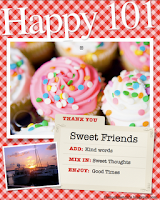 It's from my lovely blogging bud Jane (Milliesmarvels). To accept it I have to tell you 10 things that make me happy, well it's just the simple things in life that make me happy. I also have to pass it on to 10 peeps, but you know how it is, that's the hard bit and choosing just ten would be so difficult so please feel free to nab this one if you haven't got it already. A new month means a new Get Funky challenge. 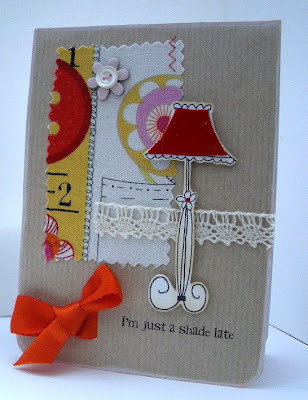 This months challenge has been set by Anice, the fab designer of all things Funky Hand. 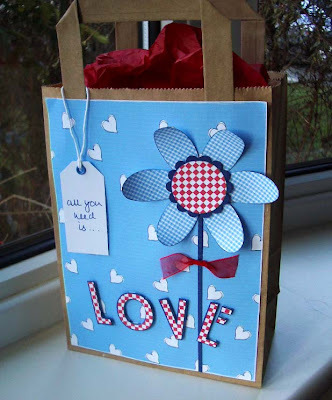 Which we know you all do, so you can create anything you like and as long as it has at least one Funky Hand paper or extra included on it you can be up for the £20.00 prize voucher. For my Wordbook/notebook I've used the 'Dreams Come True' CD.